Lancaster at War: Following Along? 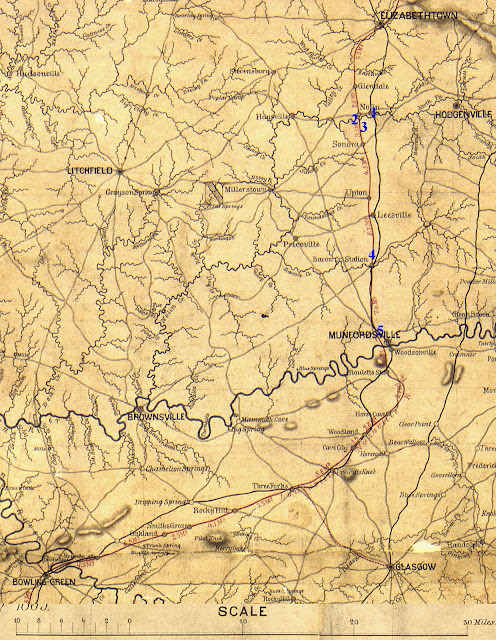 If so, here's a map to help track the movements of the 79th Pennsylvania through February 1862. The blue numbers correspond to the regiment's encampments, with a key provided below. 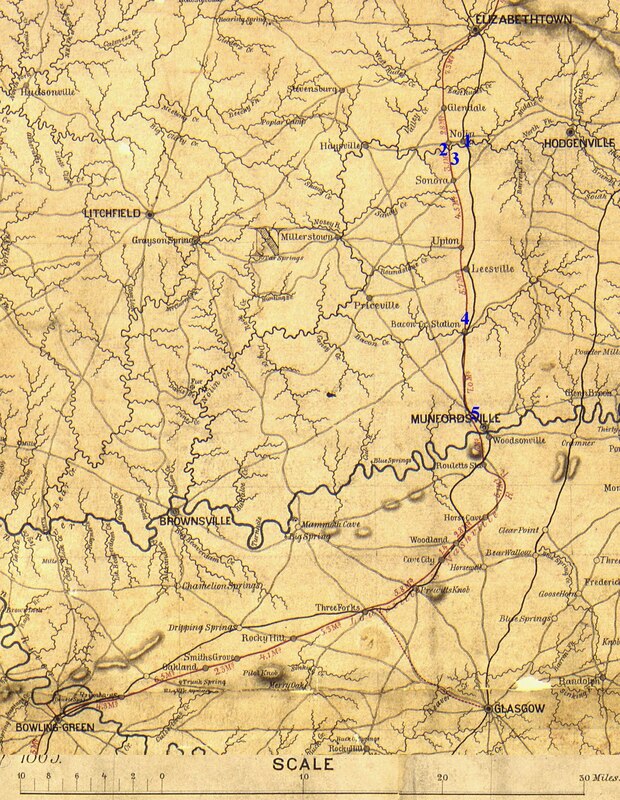 The map is the detail of an 1863 military map of Kentucky and Tennessee that is part of the National Archives' collection of maps from the Office of the Chief of Engineers, War Department. [EDIT: Updated link: http://research.archives.gov/description/305684] <Click here> to see the image in a viewer where you can zoom in.